Exclusive: Hurricane Irene Is Getting A Step Closer Everyday! Hurricane Irene, one of the most brutal hurricane started as a Category 4 storm and then completely wiped out the Bahamas and the other countries just off the coast of the North American continent. 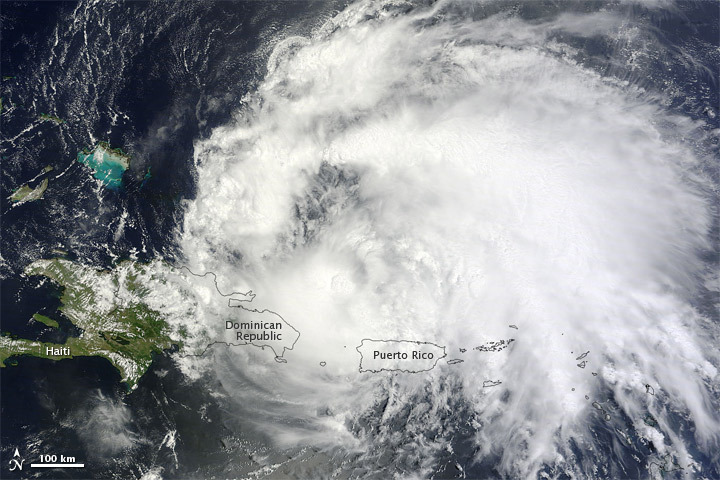 Hurricane Irene was actually discovered around last week of August. Most meteorologists believed that the tropical storm would just lay off and maybe be a small tropical thunder-storm. After a few days the storm started to rapidly increase in power and the storm started to get “The Evil Eye” and then started the rampage to tramp over the coastline cities of the Bahamas. Currently, the storm is heading towards the Eastern coast and North Carolina has already gotten a hurricane warning and has evacuated almost all the people in an entire town to head for safety for the upcoming disaster. An island of the Bahamas has also gotten a warning and people are doing all their best to stay safe from the treacherous storm. Right now, as if Thursday 10:00 PM the storm is just on the eastern side of Florida (not touching Florida). By tomorrow, Irene will become a category two and hit the coasts of the Eastern states including North Carolina and Virginia. After falling to a category 2, Irene will fall to the last category and just become a less severe storm hitting the New England area. Fortunately, Irene doesn’t seem to be severe as it seems and won’t be anywhere close to Hurricane Katrina’s damages. NOAA says that the damages won’t be too much. A few states: North Carolina and Virginia have been issued some warnings for the Hurricane and a few other states just have a Tropical Storm warning, which isn’t as bad as a Hurricane. According to NOAA, their research states that the hurricane will just fade off within 5 days of time and should disperse after going through the New England area and just crossing through the northern seas just above Canada. A few other of northern states have been issued a few Hurricane watches and Tropical Storm watches. All we can do is just watch this unpredictable storm make it’s next move, and we will take our precautionary steps toward safety as well. Posted on August 25, 2011, in Weather and tagged danger, hurricane, irene, safety, storm, tropical, watch, weather. Bookmark the permalink. 1 Comment. Actually, Hurricane Irene is the deadliest storm to hit the east coast in over 80 years.